Drug Addiction Clinic – What Is Best for You? Getting help at a drug addiction clinic is often the best answer in addressing a person’s issues with their drug problem, and is something that has helped numerous individuals and families caught in the viscous cycle of abuse. 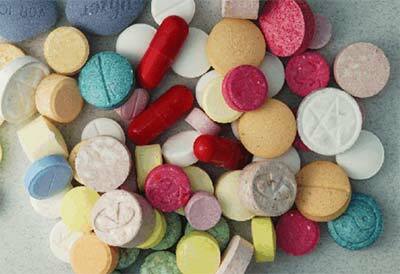 Drug addiction is a serious problem that affects countless people worldwide. No one is immune the dangers of drug addiction. It can strike anyone at any time, and can quickly destroy a person’s life. It’s important to recognise when drug abuse becomes a problem. If you or someone you love is struggling with addiction, it’s vital to address this unfortunate problem immediately. When left untreated or ignored, drug use can do irreparable damage. Drug abuse is a serious problem, and it is often difficult to gauge when a person’s drug habit slips into full-blown dependency. No one starts using drugs with the intention of becoming an addict, but for many people this is an unfortunate reality. The sad truth is that drug addiction is ever-increasing. Heroin and prescription opiate addiction rates have skyrocketed in the last decade, a problem that has become a worldwide epidemic. While there are some people who can use drugs a couple times without ever doing them again, there are many people who are easily lured into the way drugs make them feel. Using “one more time” becomes one time too many and before they know it, they’re hooked. Regular drug use changes the way the brain functions and will eventually completely change an individual’s personality. When left untreated, drug abuse has a very high likelihood of completely destroying a person’s life. If you believe your drug use has slipped into addiction, or you suspect a loved one is abusing drugs, it’s important to recognise exactly what addiction looks like. Even the mildest cases of substance abuse have the potential to become the worst cases of addiction. Knowing what to look for can be lifesaving. It can be hard to identify the beginning stages of drug use. For people that have been experimenting with drugs, one of the first signs of dependency is the inability to cut back or stop using. If you’ve tried to stop your drug use but find it too difficult, it’s very possible you’ve developed a mental and physical dependence to the drug you’ve been using. Sudden changes in behaviour, mood swings, neglect of responsibilities, changes in appearance, withdrawal from friends and family members, loss of interest in activities, change of sleeping habits, and weight loss are all signs of drug abuse. If you think your drug abuse has become a problem, it’s extremely important to address this issue immediately. If you notice a friend or family member just isn’t the same and think they might be abusing drugs, it’s imperative to watch out for the signs of addiction. It’s also important to realise that addiction isn’t something that just goes away on its own. Quitting a drug addiction isn’t as easy as just stopping the use of a substance. Drug addiction is a progressive problem that will only get worse until it is professionally addressed. Because addiction is such a complex problem, it’s essential to seek out professional help. Getting treatment is the best thing a person struggling with addiction or substance abuse can do. It can be impossible to quit using drugs without help. If you can’t seem to stop using, it could be time to look into the many different options available for treatment. Anyone who has a problem with drugs (regardless of the severity of their addiction) can benefit from getting help. Treatment for drug addiction uses an integrated approach of three separate phases that are designed to help a person overcome their dependency issues. The stages of addiction treatment include detox, therapy, and different treatment modalities. Aftercare strategies are also implemented as part of a comprehensive drug treatment programme. After a person is admitted to a drug addiction clinic, a physical detox is the first thing that will take place. Physical withdrawal symptoms will vary depending on the nature of one’s addiction, as well as how severe their addiction really is. For cases of acute addiction to substances like heroin and prescription opiates, a medically-assisted detox may be offered. The length of the detox process is dependent upon the individual and can range from 24 hours to a week or more. In order to overcome drug abuse for good, an addict needs to be able to talk about their addiction. Getting addiction treatment offers this opportunity, and is truly one of the best ways to get in touch with the reasons underlying a person’s addiction. Whether a person with dependency issues realises it or not, most addictions stem from pain. Uncovering this pain and working through it with a licensed therapist or counsellor is a fundamental part of the treatment process. Group therapy is also offered at many drug addiction clinics and allows an individual to connect to others who share a similar experience. In order to successfully sustain from using drugs for good, an addict needs to be equipped with the tools that will allow them to do this. Drug addiction programmes use a variety of different treatments that help addicts through the entire recovery process. Various treatment modalities will help a person understand their addiction, what causes the triggers that make them want to use, and various ways to avoid relapse. Treatment plans will differ depending upon each individual, but the goal is always the same. To help a person better cope without the need to use drugs. Most addiction treatment programmes will offer an aftercare strategy to help a person sustain from using drugs once treatment is over. Aftercare consists of continuing therapies and treatments that help a person assimilate back into society after treatment is over. Counselling, ongoing therapy, group meetings, and various life skills classes can all be part of an effective aftercare programme. At inpatient rehab, a person stays at the drug addiction clinic for the duration of their treatment. Many people find that an inpatient programme is beneficial because it removes a person from the environment they are accustomed to using drugs in. This can be extremely helpful in avoiding relapse, as the urge to use during recovery is likely to come up often. When a person is in a facility where they don’t have access to drugs, the likelihood that they will make it through the recovery process without relapsing is much greater. Inpatient programmes generally run from 28 to 90 days. There are also options for long-term treatment if a person feels they need it. Outpatient rehab allows a person to stay at home during the length of their treatment programme. 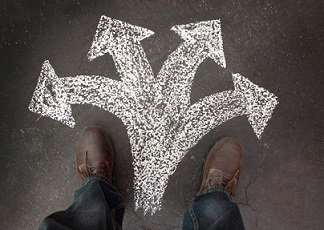 For people with family, work, or school responsibilities going to an outpatient drug addiction clinic can be the best choice. Detox, therapy, and treatment all must be scheduled, with the person receiving treatment responsible for getting to each appointment on time. Because outpatient programmes don’t remove a person from their immediate environment, they are best suited for those with addictions that are less severe. People that have a desire to receive treatment and are open to getting help will also do well in an outpatient setting. What Is an Individualised Treatment Plan? When a person goes to rehab, they will often receive an individualised treatment plan that is specific to their individual needs. This treatment plan will be contingent upon a person’s medical history, the nature of their addiction, any mental disorders, their emotional health, physical health concerns, history of drug use, and other psychosocial concerns. Long-term treatment is something offered to people who don’t feel like the standard length of treatment has prepared them for a drug-free life. Everyone responds to addiction treatment differently, and some people may need more than 90 days to get the help they need. Long-term options are available, and it is not unheard of for a person to go to a drug addiction clinic for six months or more. No one struggling with addiction deserves to live this way for another day. If you or someone you love is struggling with drug addiction, the best time to get help is now. Waiting to face a drug problem often has people waiting until it’s too late. Addiction is a condition that can progress very rapidly and destroy a person’s life. We’re here to help you find the best addiction treatment programme to fit your personal needs. We understand that dealing with addiction is difficult, which is why our fully-trained staff is here to guide you every step of the way. Getting help for you or your loved one’s problems at a drug addiction clinic doesn’t have to be a challenging process. Please call us now to see how we can help you find the perfect programme that will aid you in taking your life back by overcoming your addiction for good.